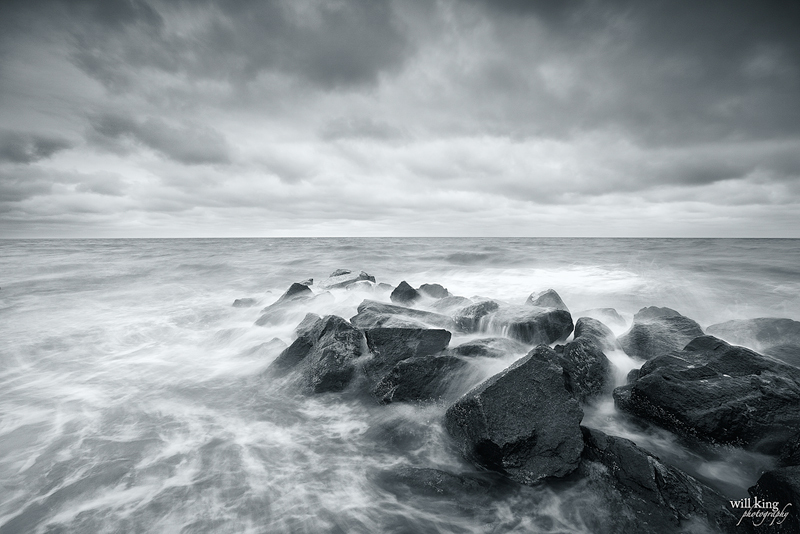 My goal was to capture the dramatic, angry, and cold sea this morning. 5D Mark II with a EF 16-35mm f/2.8L II mounted on a RRS BH-55 Ball Head on a Gitzo GT5541LS Tipod. I also used a Lee .9 Graduated Neutral Density Filter to balance the brighter sky with the darker foreground.